Zoe took first place and then reserve champion! Ginger's fleece took third place. 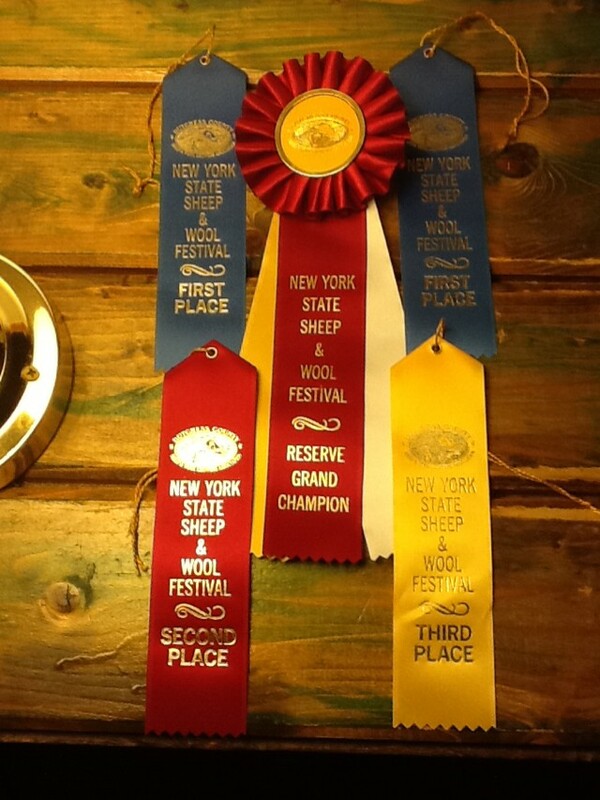 Ari, Madeline, and Angelina took first place in breeder's flock. ... Thank you so much to all my loyal fans! And, just to share. Ribbons in our household mean swimming. There's a child who initially made that connection. Which led us to youtube and Fred, the swimming goat. Nice! Your efforts seem to be paying off. Congrats! That's a fantastic showing! !